'Brain Bugs': Cognitive Flaws That 'Shape Our Lives' Neuroscientist Dean Buonomano explains why our brains make mistakes when we try to remember long lists of information or add large numbers in our heads. Humans live "in a time and place we didn't evolve to live in," he says. When attacked, a skunk's natural inclination is to turn around, lick its tail and spray a noxious scent. That works when a skunk faces a natural predator in the wild, but it's not as helpful when faced with, let's say, an oncoming car. "They didn't evolve to deal with that circumstance," says neuroscientist Dean Buonomano. "And humans suffer some of the same consequences of living in a time and place we didn't evolve to live in. ... And by peering into the brain, we can learn a lot about why we are good at some things and why we are not very good at others." In Brain Bugs: How the Brain's Flaws Shape Our Lives, Buonomano explains how and why our brains sometimes fail us when we try to do things like remember long lists of information, add large numbers in our heads or make long-term decisions. He tells Fresh Air's Dave Davies that the brain's weaknesses and strengths have evolved over thousands of years, based on what our ancestors needed — and didn't need — to survive. For example, we don't have a sense of what numbers mean intuitively in the same way that we can look at a friend and recognize that person through analyzing their various facial features. "When we recognize a pattern and I look at your face, part of the task is to grasp the whole from the sum of the parts," Buonomano says. "And because neurons are very social and communicating with our neurons, that allows them to communicate with each other and provide a picture of the whole and provide a context." The brain is made up of billions of neurons, which connect to other neurons through connections called synapses. When we think of a concept — let's say, ice cream — our brain's neurons quickly fire and connect our thoughts with memories related to ice cream and other associations throughout the brain. 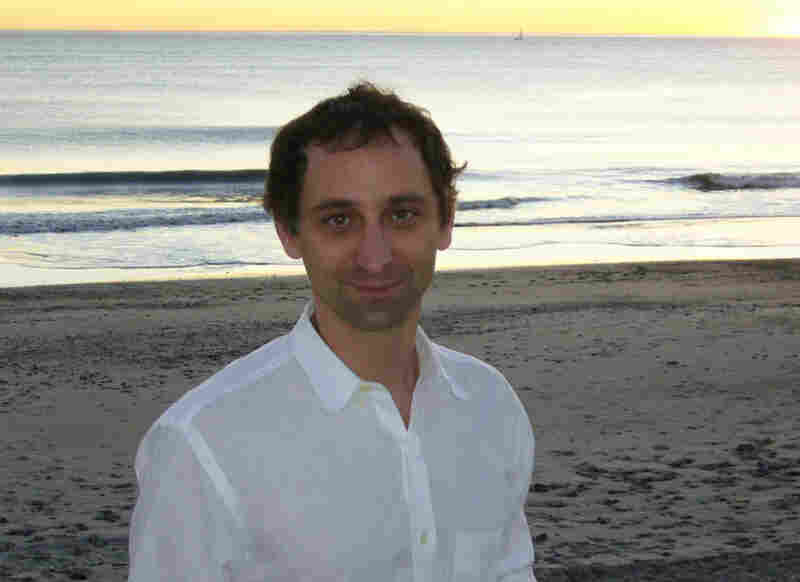 "If you hear that chocolate and pretzels make a good ice cream and you share that with your friends, those neurons are being activated at more or less the same time, and somehow the neurons representing each one of those concepts come to be connected with one another," Buonomano explains. 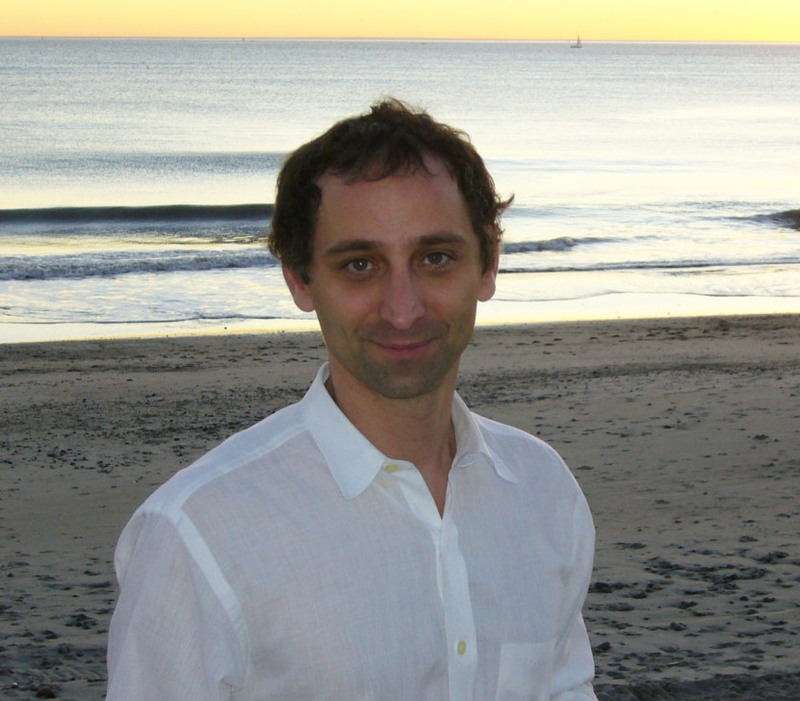 Dean Buonomano is a professor in the departments of neurobiology and psychology at UCLA. Brain Bugs is his first book. Those patterns can also be used by others to affect our behavior in noticeable ways. In one example, researchers at New York University asked subjects in a study to do word puzzles. Some of the subjects were given puzzles with words associated with kind behavior, while another group received word searches filled with words associated with impolite behavior. After they finished the task, subjects were instructed to talk to an assistant in the lab, who was pretending to be on the phone. "The people who did word puzzles that were more heavily populated with rude words actually waited less to interrupt the ongoing conversation than those who were doing word puzzles with polite words," Buonomano says. "So this is an example of behavioral priming in which the words have the ability to influence our thoughts." Though the effects are subtle, priming the brain and other associative tricks have been used by advertisers and marketers for years. "This is one of those things where I think marketers understood the brain before neuroscientists," Buonomano says. "Much of marketing has always been tapping into the associative structure or the associative architecture of the brain toward leading us toward positive opinions or negative opinions by leading us to the appropriate words," he adds. "The brain is very good at pattern recognition. The fact that we currently use numbers in order to quantify anything from baseball scores or our salaries — there [weren't] many situations in which that was required. People weren't negotiating, they weren't making transactions. They were judging whether something [was] that dangerous or not — there wasn't a need or the ability to manipulate symbols. So in the case of numerical calculations, there [weren't] that many circumstances in which animals will benefit from manipulating numbers — from doing long division and so forth." "One type of memory error that we make — a memory bug — is really a product of the fact that in human memory, there's no distinction between storage and retrieval. So when a computer writes something down, it has one laser that's used to store the memory and another laser to retrieve the memory, and those are very distinct processes. In human memory, the distinction between storage and retrieval is not very clear, and this can have very dramatic consequences. ... The act of retrieving a memory can affect the storage." "Unlike the clocks on our wrists that can be used to tell a few milliseconds or months and years, the brain has very fundamentally different mechanisms for telling very short periods of time and very long periods of time — and that's a consequence of the evolutionary process. ... We don't seem to have a very precise clock. Time is very much distorted when we are anticipating what's about to happen, when we're nervous, when we're stressed and when we have high-adrenaline moments." I've been in Canada, opening for Miles Davis. I mean . . . Kilometers Davis. I've paraphrased this joke from the comedian Zach Galifianakis. Getting it is greatly facilitated by making two associations, kilometers/miles and Canada/kilometers. One might unconsciously or consciously recall that, unlike the United States, Canada uses the metric system, hence the substitution of "kilometers" for "miles," or, in this case, "Miles." One of the many elusive ingredients of humor is the use of segues and associations that make sense, but are unexpected. Another rule of thumb in the world of comedy is the return to a recent theme. Late-night TV show hosts and stand-up comedians often joke about a topic or person, and a few minutes later refer back to that topic or person, in a different, unexpected context to humorous effect. The same reference, however, would be entirely unfunny if it had not just been touched upon. 1. What continent is Kenya in? 2. What are the two opposing colors in the game of chess? Roughly 20 percent of people answer "zebra" to sentence 3, and about 50 percent respond with an animal from Africa. But, when asked to name an animal out of the blue, less than 1 percent of people will answer "zebra." In other words, by directing your attention to Africa and the colors black and white, it is possible to manipulate your answer. As with comedy routines, this example offers two crucial insights about memory and the human mind that will be recurring themes in this book. First, knowledge is stored in an associative manner: related concepts (zebra/Africa, kilometers/miles) are linked to each other. Second, thinking of one concept somehow "spreads" to other related concepts, making them more likely to be recalled. Together, both these facts explain why thinking of Africa makes it more likely that "zebra" will pop into mind if you are next asked to think of any animal. This unconscious and automatic phenomenon is known as priming. And as one psychologist has put it "priming affects everything we do from the time we wake up until the time we go back to sleep; even then it may affect our dreams." Before we go on to blame the associative nature of memory for our propensity to confuse related concepts and make decisions that are subject to capricious and irrational influences, let's explore what memories are made of. Until the mid-twentieth century, memory was often studied as if it were a single unitary phenomenon. We know now that there are two broad types of memory. Knowledge of an address, telephone number, and the capital of India are examples of what is known as declarative or explicit memory. As the name implies, declarative memories are accessible to conscious recollection and verbal description: if someone does not know the capital of India we can tell him that it is New Delhi. By contrast, attempts to tell someone how to ride a bike, recognize a face, or juggle flaming torches is not unlike trying to explain calculus to a cat. Riding a bike, recognizing faces, and juggling are examples of nondeclarative or implicit memories. The existence of these two independent memory systems within our brains can be appreciated by introspection. For example, I have memorized my phone number and can easily pass it along to someone by saying the sequence of digits. The PIN of my bank account is also a sequence of digits, but because I do not generally give this number out and mostly use it by typing it on a number pad, I have been known to "forget" the actual number on the rare occasions I do need to write it down. Yet I still know it, as I am able to type it in to the keypad — indeed, I can pretend to type it and figure out the number. The phone number is stored explicitly in declarative memory; the "forgotten" PIN is stored implicitly as a motor pattern in nondeclarative memory. You may have trouble answering the question, What key is to the left of the letter E on your computer keyboard? Assuming you know how to type your brain knows very well which keys are beside each other, but it may not be inclined to tell you. But if you mimic the movements while you pretend to type wobble, you can probably figure it out. The layout of the keyboard is stored in nondeclarative memory, unless you have explicitly memorized the arrangement of the keys, in which case it is also stored in declarative memory. Both declarative and nondeclarative forms of memory are divided into further subtypes, but I will focus primarily on a type of declarative memory, termed semantic memory, used to store most of our knowledge of meaning and facts, including that zebras live in Africa, Bacchus is the god of wine, or that if your host offers you Rocky Mountain oysters he is handing you bull testicles. How exactly is this type of information stored in your brain? Few questions are more profound. Anyone who has witnessed the slow and inexorable vaporization of the very soul of someone with Alzheimer's disease appreciates that the essence of our character and memories are inextricably connected. For this reason the question of how memories are stored in the brain is one of the holy grails of neuroscience. Once again, I draw upon our knowledge of computers for comparison. Memory requires a storage mechanism, some sort of modification of a physical media, such as punching holes in old-fashioned computer cards, burning a microscopic dot in a DVD, or charging or discharging transistors in a flash drive. And there must be a code: a convention that determines how the physical changes in the media are translated into something meaningful, and later retrieved and used. A phone number jotted down on a Post-it represents a type of memory; the ink absorbed by the paper is the storage mechanism, and the pattern corresponding to the numbers is the code. To someone unfamiliar with Arabic numerals (the code), the stored memory will be as meaningless as a child's scribbles. In the case of a DVD, information is stored as a long sequence of zeros and ones, corresponding to the presence or absence of a "hole"burned into the DVD's reflective surface. The presence or absence of these holes, though, tells us nothing about the code: does the string encode family pictures, music, or the passwords of Swiss bank accounts? We need to know whether the files are in jpeg, mp3, or text format. Indeed, the logic behind encrypted files is that the sequence of zeros and ones is altered according to some rule, and if you do not know the algorithm to unshuffle it, the physical memory is worthless. The importance of understanding both the storage mechanisms and the code is well illustrated in another famous information storage system: genes. When Watson and Crick elucidated the structure of DNA in 1953, they established how information, represented by sequences of four nucleotides (symbolized by the letters A, C, G and T), was stored at the molecular level. But they did not break the genetic code; understanding the structure of DNA did not reveal what all those letters meant. This question was answered in the sixties when the genetic code that translated sequences of nucleotides into proteins was cracked. To understand human memory we need to determine the changes that take place in the brain's memory media when memories are stored, and work out the code used to write down information. Although we do not have a full understanding of either of these things, we do know enough to make a sketch. 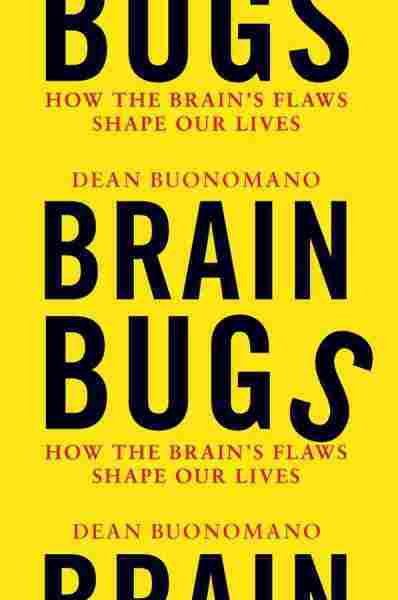 Excerpted from Brain Bugs: How the Brain's Flaws Shape Our Lives by Dean Buonomano. Copyright 2011 by Dean Buonomano. Reprinted with permission of W. W. Norton & Co.